Green Fillers and leaves may differ as per regional and seasonal availability. The basket can be utilized to keep little knick knacks. The Oasis foam in this floral basket absorbs water keeping flowers blooming for longer. The black rose is not an actual black flower. It is the darkest version of a red rose that makes it look like red. Lilies are one of the top ten blossoms in the world and are a popular choice for bouquets and centre pieces. 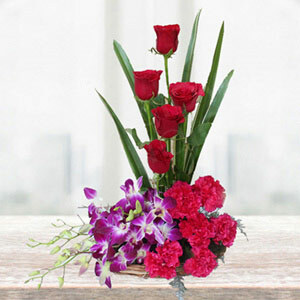 Flowers are the best choices if you want to be truthful in expressing your feelings!! 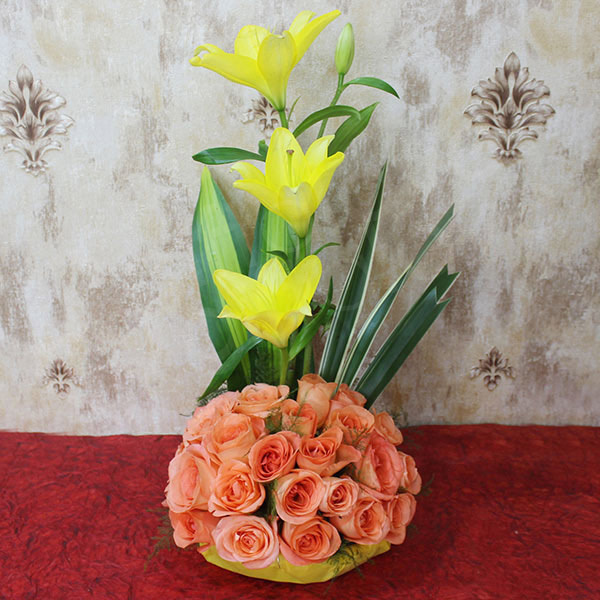 We have this beautiful flower basket arrangement of Orange Roses for you to choose and buy online. 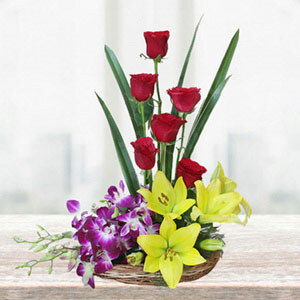 Green leaves arranged perfectly in the basket add to the magnetism of this gift bouquet. 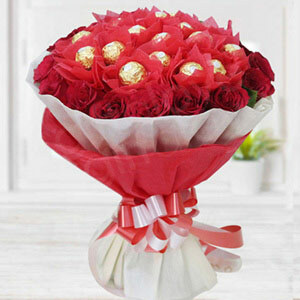 Make sure to place an order and be the one stun your dear one with your love and affection. 5 a nice product at such affordable price. The basket looked exactly the same as shown on the website. The flowers were beautiful and fresh. It is a nice escape from the regular bunches of flowers. Highly recommend this floral basket to everyone. good job giftalove.